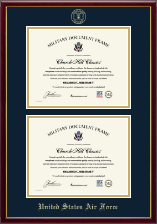 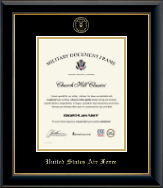 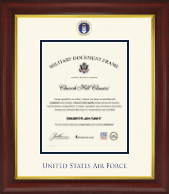 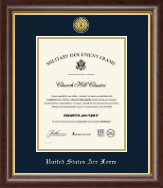 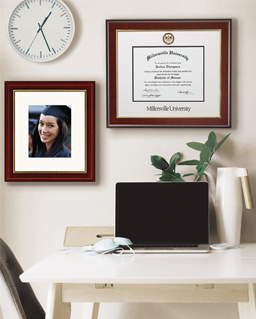 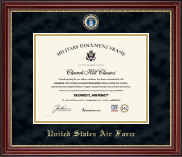 Our United States Air Force certificate frames are handcrafted in the USA. 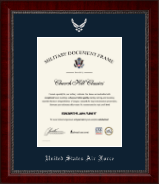 Are you looking for a meaningful birthday, holiday, or anniversary gift for your United States Air Force airmen or Air Force veteran? 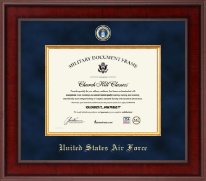 Our official USAF certificate frames, medal award frames, display cases, and flag cases are the perfect way to preserve and showcase your loved one’s military award and honor. 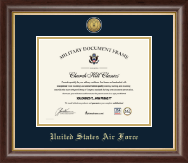 Choose one of our popular commemorative United States Air Force frames or military display cases from the selection above, or customize an Air Force frame with a different frame moulding and mat color choice using our easy design tools. 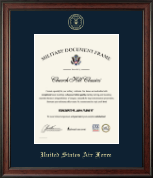 Each frame is made in the USA and can be customized to fit your American hero’s Air Force certificate or honorable discharge document. 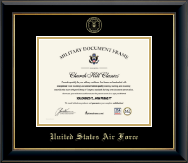 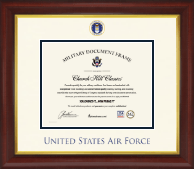 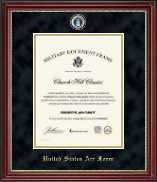 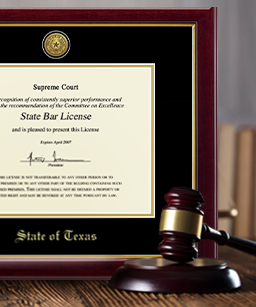 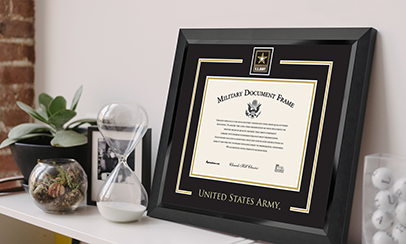 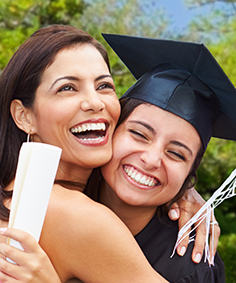 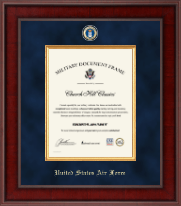 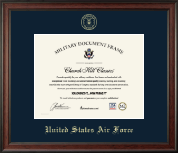 We guarantee you and your loved one will be 100% satisfied with our USAF certificate frames, display cases, and United States Air Force gifts.